What a whirlwind of a weekend, most of it spent up to my eyeballs in icing. I try and concentrate on my vintage sugar flowers but I keep seeing his plump little face before me. But I'm worried that I didn't feel that instant connection. What am I meant to feel? Am I meant to encounter this instant bond from a badly photocopied old photo. I finally managed to get some time to myself on Saturday evening to snuggle up on the sofa with a cuppa ...ok ok, a glass of wine....and the CPR. Just me and the little big man. I read it intensely, page by page absorbing every second of his life so far. I call my sister on the other side of the world. When I say his name out loud to her, my heart does a weird little flip thing. (A bit like back in the day when LRUN first turned up at the back of my boat) And then I know. This is the one. LRUN and I talk about him all weekend. We end up in fits of giggles. His birth father has an unusual name and we try and get google pronunciation to help us say it correctly. I'd say we're nearly there. 70% and counting. Less laughing, more vowels and we'll be there. 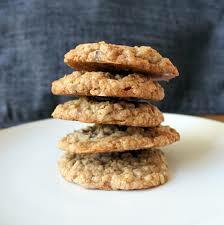 Monday is quiet and I try and keep busy and bake a batch of Toffee and Oatmeal cookies. They're not great but LRUN has hoovered two before they even reach the cookie jar. I can't sleep. All I can think about is the LBM and his chubby little face. I can't be feeding him cookies for a while. I draught an email to Miss Delia and send it first thing Tuesday morning. By noon, there's still no word from her, so I do the unthinkable and send her a text. Ok, I send her 2 texts. This is serious! She finally replies. She is due to see the LBM and his foster carer on Thursday and she explains she will report back afterwards with an update. I sense her words are cautious. I know how unpredictable these things can be so I have to remain realistic. But this feels so right. Surely this has to work out.